You don’t have to be a bodybuilder or an exotic male dancer to get laser hair removal. 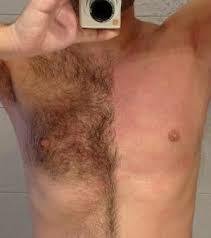 More and more men choose to have laser hair removal so that they can have a smooth and less hairy skin. Reducing or thinning the hair on the chest and back are two of the most commonly requested procedures by our male clients. 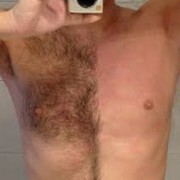 Another popular body part for laser hair removal is the neck and beard area. Many of our patients have suffered from ingrown hair and folliculitis. Laser hair removal helps in thinning the hair and decreasing the amount of ingrown hairs. While back and chest are very popular, you don’t have to stop there! If you want to get rid of unwanted hair in any area, you can feel confident that at FIX Laser and Skin Center, you will receive excellent service by our registered nurses who are trained and comfortable with addressing the unique needs of every man. They will discuss how laser affects men differently than women, in addition to making sure that you receive treatments that are medically safe and effective.